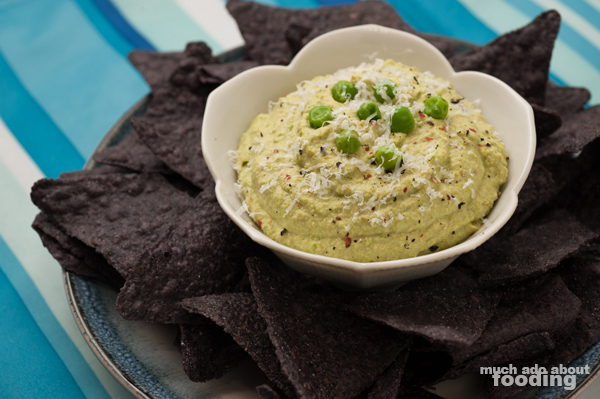 Easy pea-sy recipe right here! Looking for something outside of the typical hummus you see made with garbanzo beans? 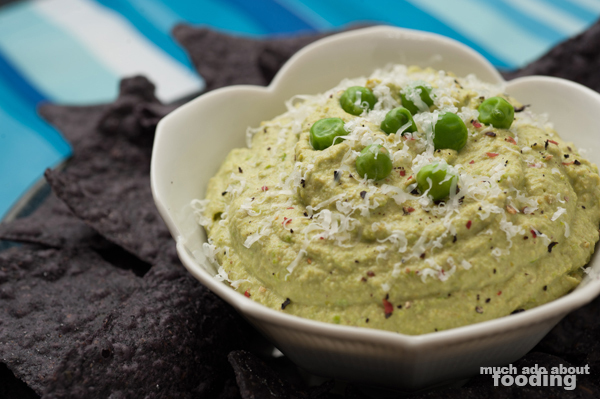 You can make it with peas which have a sweeter flavor as well as an interesting color that can be good for themed parties or just to change things up a bit. The recipe is simple, as is any base hummus, so you can prep this quickly for a snack or gathering. This is how easy the recipe is. Mince garlic finely. Place everything into a small food processor and puree until smooth and fully incorporated. Ta-da! Serve with cracker or chip of choice. I also grated some Parmesan on top with cracked rainbow peppercorns and a few whole peas for presentation.